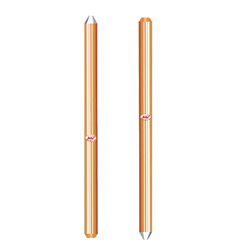 We are a leading Manufacturer of earthing rods for telecommunication towers, chemical grounding electrodes and transmission earthing rods from Noida, India. We are the establish name in manufacturing of extremely efficient chemical earthing electrodes that not only defend threats from human life, but also their assets against any fault current damage by developing a good Earthing system. We are a establish name in manufacturing extremely efficient Earthing Rods for Transmission & Distribution Systems. 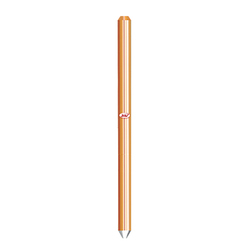 It is made from low carbon steel of grade BS 970 or AISI 1018 with a high tensile strength of at least 600 N/mm2. Low carbon steel core are molecularly bonded with 99.9% pure electrolytic copper. Molecular bonding of copper and steel to ensure no peeling when driving into the earth. 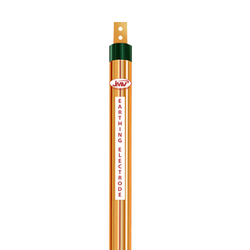 Looking for Copper Rod Earthing For Process Control And Automation ?